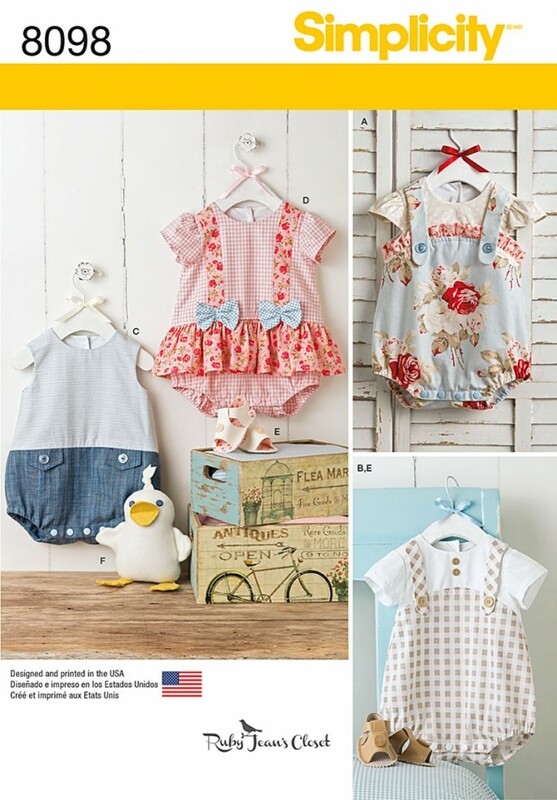 These adorable one piece rompers for babies features in checks, stripes and floral for an easy and fun look. Pattern also includes fabric sandals, and squishy stuffed duck. Ruby Jeans Closet for Simplicity.